As I watched Chef Husband prepare our Chef Salads last night, I learned a new trick that he said was old school. 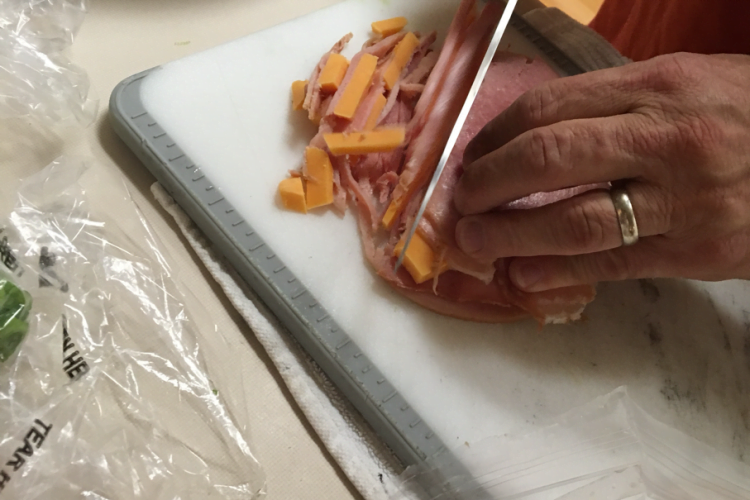 A quick way to prep the meat and cheese for the salad is to layer the sliced meat, then sliced cheese, then sliced meat, and so on (we had layers of ham, turkey and cheddar). From there, simply take your chef knife and cut through the stack, making long strips. Then take a handful and put it all on top of the salad.